A man has been jailed for 18 years over the murder of a British student in Jerusalem. 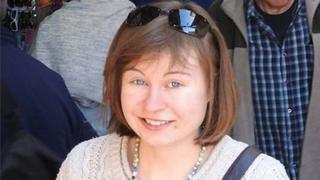 University of Birmingham student Hannah Bladon, 21, was stabbed to death as she travelled on a light rail train near the Old City, in Israel, on Good Friday in 2017. Palestinian Jamil Tamimi, 59, was charged with murder, but reached a plea bargain not to serve life in jail. The victim’s family were said to be outraged by the “lenient” sentence. According to Reuters, Mr Tamimi agreed to a plea bargain with prosecutors at an Israeli court over sentencing after acknowledging he was mentally ill. They reported from a court transcript that the prosecutor in the case said “it was not a terrorist incident… this was a terrible murder carried out by a mentally ill person”. Her family’s lawyer, Maurice Hirsch, told the news agency they were “outraged by the leniency” of the sentence and had “expected that Hannah’s murderer would spent the rest of his life behind bars”. A court transcript states the defendant apologised for the killing, which happened on 14 April 2017, it was reported by Reuters. “I’m sorry. I wish I could take her [Hannah Bladon’s] place. I did not mean to murder her. I don’t know how it happened,” it was quoted. Ms Bladon, a Derby County football fan from Burton-upon-Trent, Staffordshire, had been taking part in an exchange programme at the Hebrew University of Jerusalem. The train was busy at the time of the attack as Christians marked Good Friday and Jews celebrated Passover. Ms Bladon’s family have described the student as a “talented musician” and “enthusiastic rugby player”.